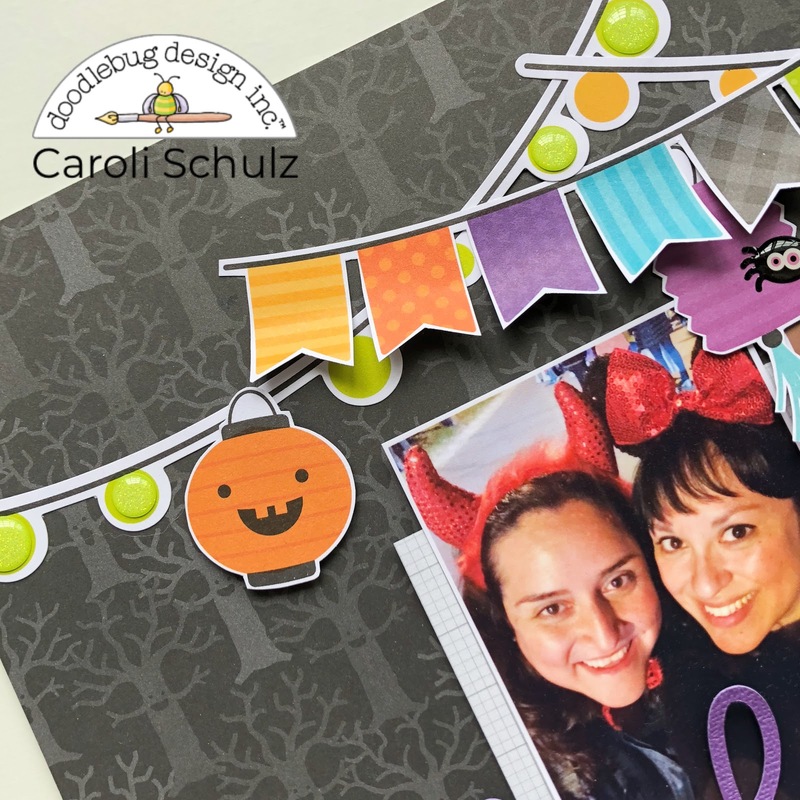 I'm thrilled to share a new project with gorgeous Pumpkin Party collection. 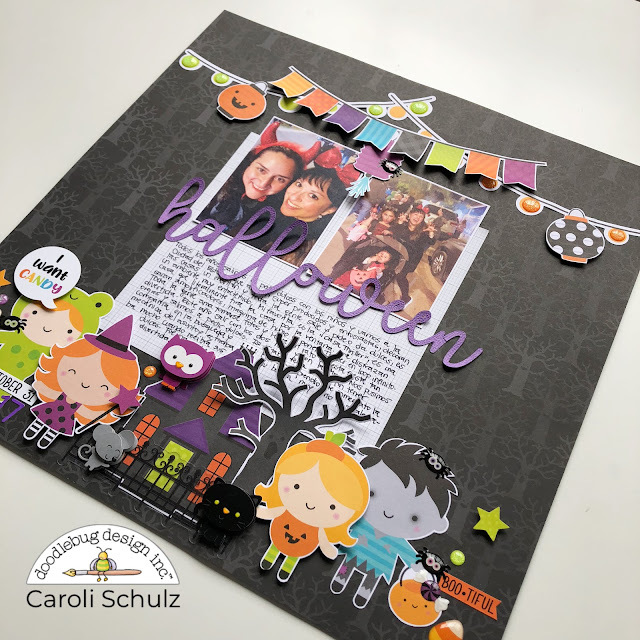 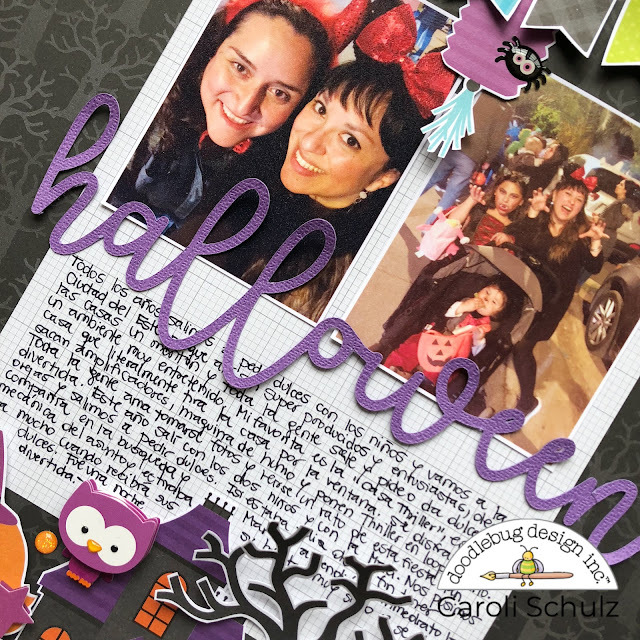 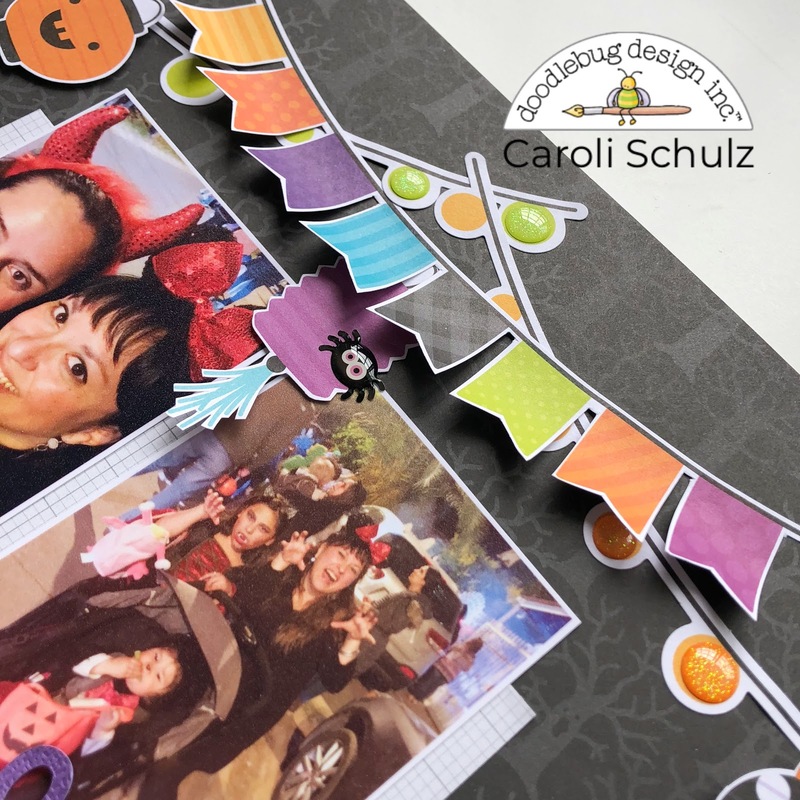 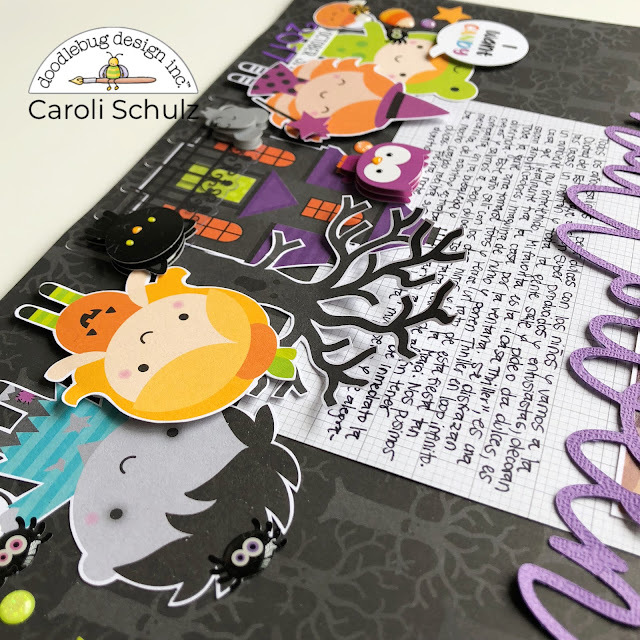 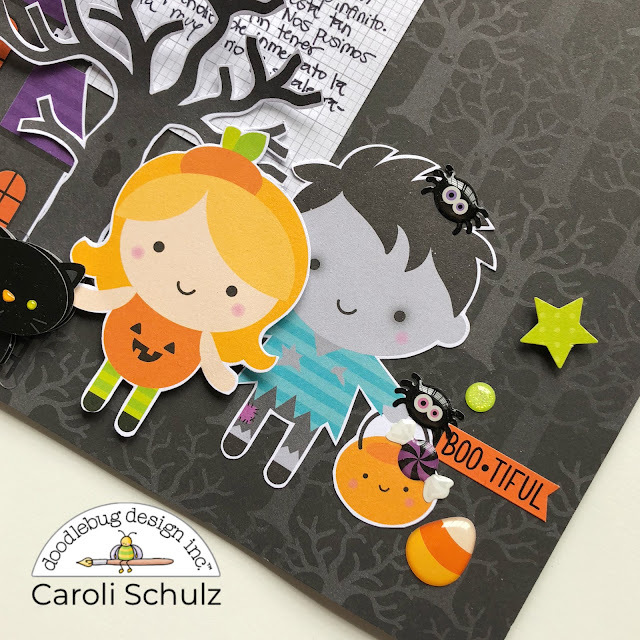 As I said in a previous post here at Doodlebug Design's blog, Halloween is such a big deal in our family, and every year I go with my kids trick-or-treating. Last year I also enjoyed this festive activity with my bestie and we all had a great time walking with the kids and saying hi to neighbors. 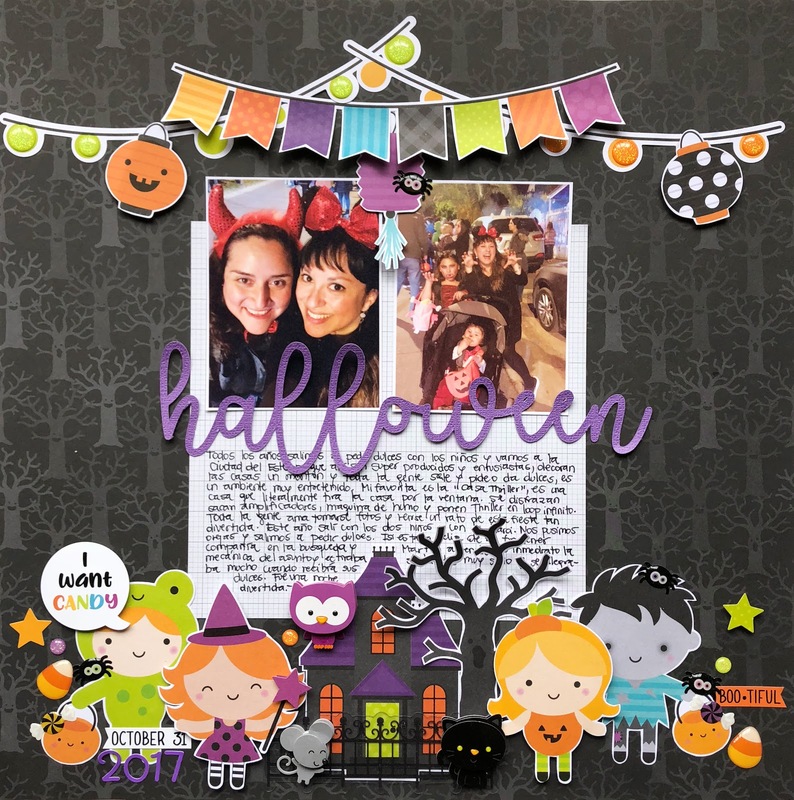 Such an adorable layout!!! 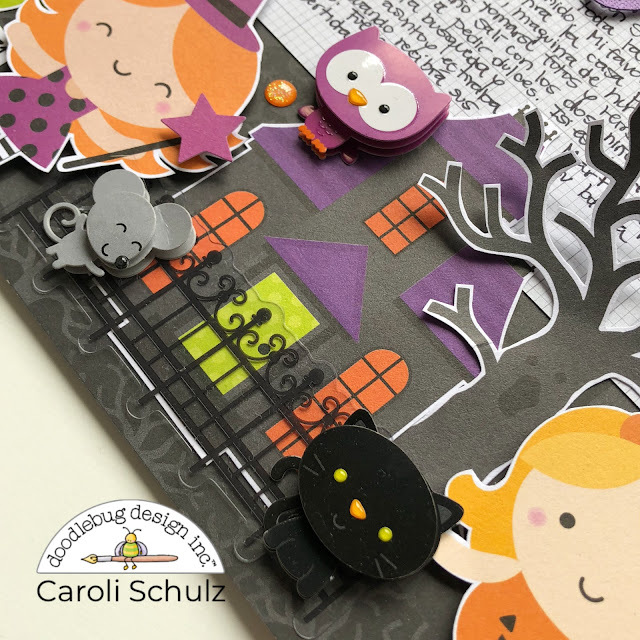 I love all of your little trick or treaters!